Over the next few days I’m going to be covering each studio and their upcoming slate of movies they are set to release in the coming months. I already covered the Lionsgate releases yesterday. Today we’ll be talking a little bit about what we’ll see from Universal in the upcoming months. Scott Pilgrim vs. The World – Yes I’ve already seen Scott Pilgrim vs. The World, and no I can’t tell you how it is, yet. You’ll have to patiently wait until next week when we post our reviews on The Reel Place to see what we thought of it. Scott Pilgrim vs. 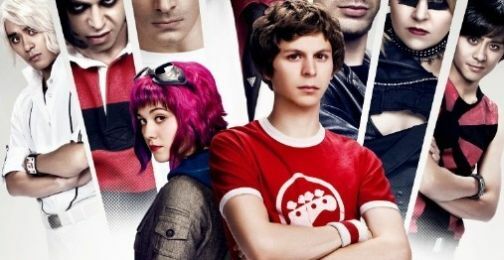 The World stars Michael Cera as Scott Pilgrim. He meets a girl named Ramona who he falls madly in love with. Only problem is Ramona has seven evil exes who he must battle to the death to win Ramona’s heart. Sound like a video game? Well it is! If you’ve seen any of the trailers you’ll have noticed that the entire movie plays out like a self-referential video game, complete with a Pee Bar to show when Scott needs to relieve himself. I can see Scott Pilgrim vs. The World becoming a cult classic that twenty-somethings of the video game generation watch on a weekly basis. Nanny McPhee Returns – Ah yes, return of the ugly version of Mary Poppins. The return of the anti-Poppins is sure to make children happy that loved the first one. The first film is just fine for kids, but was a bit to dull for adults. The second one seems even more stuffed with CG effects – talking statues, synchronized swimming pigs – than the first one was. You already know if you’re going to like or dislike this movie. If you enjoyed the first you’ll probably have a good time here too. Devil – Even though it’s not actually him behind the camera directing the action, M. Night Shyamalan wrote Devil. Can Shyamalan overcome his huge box office disaster with The Last Airbender and find success here? Maybe he’ll find out that he’s just not cut out to direct anymore and working behind the scenes on the story is where he belongs. Ever since The Sixth Sense and on through movies like Unbreakable and Signs, I’ve always thought Shyamalan was one of the most original storytellers out there. After The Last Airbender, I’m not quite sure anymore. Hopefully he’s still got it in him somewhere to craft a story using his unique style. Devil looks like it has promise at being an intense thriller with five people trapped in an elevator and The Devil is among them. Simple premise, which most Shyamalan movies are. Here’s hoping it’s a return to form for the once visionary writer/director. Catfish – Yes I already posted a news piece about the trailer of Catfish and how you definitely must see this movie. It’s always good to reiterate. YOU MUST SEE THIS MOVIE! I don’t know how else to say it. 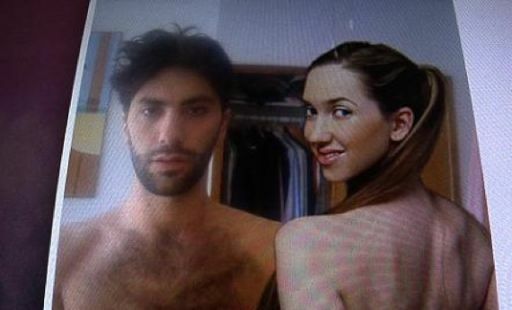 Catfish is one of the craziest movie experiences I have ever had. See it. My Soul to Take – Just in time for the Halloween season Universal is bringing out a chilling horror tale about a serial killer that stalks seven children that all have the same birth dates as the day he was put to rest (IMDB.com). Dear, oh dear. I’m sure Mr. Craven can pull some chills out of his bag of horror tricks, but seriously this sounds rather stupid. We’ll have to wait and see. Little Fockers – Did we really need another movie focusing on the Focker family? Meet the Parents was funny. Meet the Fockers was less funny. Little Fockers (Hardy, har, har, what a great play on words) looks like it’s going to be the worst of the bunch. If that doesn’t make you want to see it, then let me tell you this, it’s also a Christmas film. Yup just in time for the holidays, we’ll get to see pint-sized Christmas shenanigans as misunderstandings between the Fockers abound, until the ultimate resolution featuring everyone happy and waiting for the next sequel which I’m hoping is called Get the Fock Out of Here. It goes without saying that I’m really excited for Catfish, but I can see Devil being a thrill-ride that may catch some people unexpectedly. What are you excited for?